Technological innovations throughout the history of human invention are often the result of co-­opting an existing technology to develop something new. The invention of the microwave depended on the development of the magnetron, a device initially developed for World War II era radar technology. The magnetron was invented and adapted for its radar application; the inventors certainly did not have the use-­case of reheating food in mind during its development. 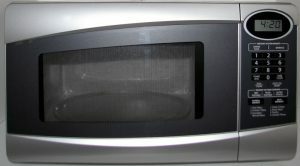 However, once it was discovered that the device could be used to reheat food, the magnetron was co­-opted and adapted for use in microwave ovens like the one shown in Fig. 1 (Fernández, 2014). The laser has a similar story of unforeseen co-­option of functionality for a variety of domains. Since its invention, the laser has seen use in microsurgery, precision measurement, bomb guidance systems, barcode identification, holography, cutting, drilling, welding, printing, telecommunications, and many other domains (Bonifati, 2010). The inventors of the laser did not develop the laser with these domains in mind. 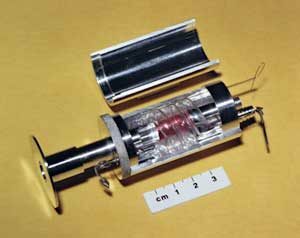 The laser was initially developed as a proof of concept (first laser: Fig. 2). At first, people referred to the laser as a solution without a problem (Townes, 2003), but eventually, the laser was co-­opted and adapted to a huge variety of domains. This process of co-­option is widespread and influential in innovation across many technological domains. The idea of co­-opting an invention for a totally different purpose – using the magnetron for microwaves, or lasers for microsurgery – is analogous to an important concept in evolutionary biology: exaptation. adaptation – the process by which natural selection shapes a feature for a particular use. Features produced by this process are often referred to as adaptations. exaptation – the process by which a feature previously shaped by natural selection for a particular function or a feature that is entirely non-­adaptive (i.e. a feature that came about through neutral mutations) is co-­opted for an entirely new use. Features produced by this process are often referred to as exaptations. For example, Gould and Vrba would say that the magnetron was an adaptation for radar technology, but it was an exaptation for reheating food. The difference between an adaptation and an exaptation helps us to understand and explain many fitness­-enhancing characteristics we see in nature. The evolution of complex features can seem unintuitive to those just considering the evolutionary process by which natural selection shapes a feature for a particular use. By Gould and Vrba’s definition, adaptation alone is not sufficient for the evolution of many complex traits we see in species today because what good is only part of a wing for flight? Feathered wings used by birds for flight provide a good example of exaptation in action. The earliest known examples of feathered appendages belong to dinosaurs incapable of flight. A recently found and well preserved fossil of the Zhenyuanlong suni species of dinosaur (artist’s impression: Fig. 3; fossil: Fig. 4) shows that this dinosaur species possessed feathered wings; however, it was unlikely to be capable of flight (Gill, 2015; Lü & Brusatte, 2015). If Zhenyuanlong suni had wings but could not fly, its feathered wings must have evolved for some reason other than flight, which implies that birds’ ability to fly via feathered wings is an exaptation. It is thought that feathers may have initially evolved for insulation, for mating displays, or for social displays (Zimmer, 2011). Wings are hypothesized to have been initially beneficial for capturing small prey, for aiding bipedal animals in leaping, or for sexual displays (Hutchinson, 1996). Because it is unlikely that wings and feathers evolved initially and specifically for flight, the feathered wings we see on today’s flight-­capable birds are a clear example of an exaptation. This is just one example of an exaptation we see in modern species; evolutionary history is filled with many more! Gould and Vrba’s versions of adaptation and exaptation do not occur in isolation from one another. An exaptation like feathered wings for flight can be further enhanced through natural selection for more efficient flight. Any exaptation can undergo further adaptations for its particular purpose, and any adaptation may be subject to exaptation to a totally different function. Gould and Vrba’s concept of exaptation is meant to underline the incredible importance of the co­-option of existing traits, behaviors, or characteristics for new purposes in evolution. Exaptation enables us to see vestigial structures in modern species from a new perspective. Perhaps a given organ or structure has no current function today (e.g. the appendix), but through exaptation, it could one day take on a totally new and fitness-­enhancing function in the future! Bonifati, Giovanni. “‘More is different’, exaptation and uncertainty: three foundational concepts for a complexity theory of innovation.” Economics of Innovation and New Technology 19.8 (2010): 743­760. Fernández, Eliseo. “Evolution of organisms and invention of artifacts: Analogies and contrasts.” 57th Annual Meeting of the Midwest Junto for the History of Science (2014). Gill, Victoria. 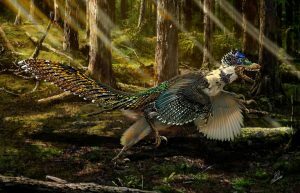 “Dinosaur find: Velociraptor ancestor was ‘winged dragon'”, BBC News, (2015). Gould, Stephen Jay, and Elisabeth S. Vrba. “Exaptation­a missing term in the science of form.” Paleobiology (1982): 4­15. Hutchinson, John R. “Vertebrate Flight: The Evolution of Flight (a.k.a. How to Wing It)”. (1996). Lü, Junchang, and Stephen L. Brusatte. 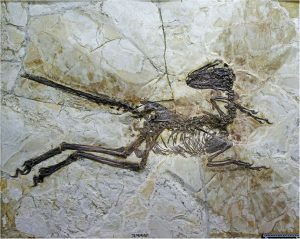 “A large, short­armed, winged dromaeosaurid (Dinosauria: Theropoda) from the Early Cretaceous of China and its implications for feather evolution.” Scientific reports 5 (2015). Townes, Charles H.”The first laser”. A Century of Nature: Twenty­One Discoveries that Changed Science and the World. University of Chicago Press (2003): pp. 107–12. Zimmer, Carl. “The Evolution of Feathers: Their origin may have had nothing to do with flight. Photographs by Robert Clark. Art by Xing Lida.” National Geographic 219.2 (2011): 32.